Someone across the table named what we were talking about: when you prepare enough food with a plan for the overage to supply later meals. Sometimes we look in the frig to see what we can use for leftovers, but planovers are something different. They are more intentional. I wonder how we can be just as intentional about our spiritual nourishment. What if we stopped worshiping, studying, or praying enough for the now, feasting for the moment but not investing in the future? Sure, we might pray for the future, but are we truly relinquishing the future, ready and willing to do exactly what is necessary in the here and now? Or are our prayers more about hopes and dreams that we continue to measure as we progress? We might worship in the present during weekend services yet wonder why we’re already spiritually exhausted on Monday afternoon. We might set aside blocks of time for study but we have difficulty remembering anything, or if we do remember, we compartmentalize it instead of applying it in our daily lives. We feel like we just don’t have enough left over at times, but what if we planned an overage instead of just hoping for one? I know there are times we can (and should) only gather, hold, and use so much, like the Israelites and manna. But many other times, God gives us not what we need right now but something we can’t understand how we will need in the future. When we trust Him, rely on Him, and respond to Him well, even when we don’t understand, we have planovers, not because of our own planning but because of His. It’s a busy time of the year. For some, it can feel overwhelming. Then comes a new year, just around the corner, when we’re exhausted from the end of year push yet determine to change some things. In many cases, we then overwhelm ourselves with pressures to make changes. If we’re overwhelmed or feel pressured to change (often from ourselves), there are some simple things we can do. Baby steps. Sure, we want to live a more organized life. We want to be better connected to friends or family. We want to serve more, prayer more, learn more, grow more. But there are no easy buttons. Only steps we can take. Here are a few you might want to try. Today. Purge your incoming emails. As you receive one from an organization you really don’t want to hear from anymore, take a few seconds to scroll down and click that “unsubscribe” button, usually at the bottom of the email. If you stay attentive and take action on just a few emails each day, it won’t take long before you’ve considerably cut the volume of your emails. Make space in your phone and/or other device. While you’re waiting in a checkout line, at a doctor’s office, or some other “few minutes’ pause,” free up some space by deleting or reorganizing photos, files, and more. Even if you get rid of a few at a time, it’s a few less you’ll have to go through later, when you’ll have accumulated even more. Clear the clutter around you, whether it’s in your office or home. Each day, get rid of ten things. It can be junk mail, clothes, toys, books, or whatever. 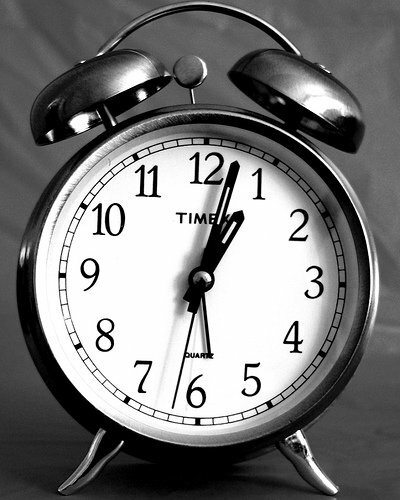 If you get motivated one day and clear out more, or don’t get around to it one day, keep the next day’s goal at ten. It will become a habit, and before long, you’ll have to search items to clear out…and be more intentional about what you bring into your space. Try a new food or bake a new dish this week. You might be in a food rut. Keep your expectations realistic. Try new things one at a time with some “regulars” in between. Then, slowly but surely, you can incorporate the new items that work well. Replace what you take away. Anytime you take an unhealthy habit away from your life, it leaves space that will fill with something. If you’re not intentional, that space will often fill with something equally as unhealthy. Sure, you curb a bad habit, but you invite another one. Choose well. Invite (the right) others into your life. Ask someone trustworthy to hold you accountable. If you want to pray more, study more, smoke less, drink less, exercise more, eat less, clean more, pursue God more, or work less, tell a trusted friend. Touch base regularly through a quick call, text, or a private Facebook group. Know what (or who) you’re pursuing. You can leave some things behind but still spin your wheels without an intentional pursuit. Grow. One step at a time. One moment at a time. Once intentional choice at a time. It’s true. 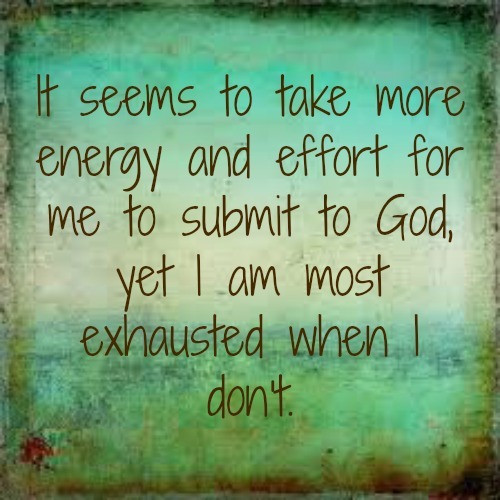 It seems to take more energy and effort for me to submit to God, yet I am most exhausted when I don’t. Submitting to God isn’t easy. It takes an intentionality that is draining at times. But it’s worth it. It always puts me in a better place. (Despite my unwillingness to use “never” in the earlier paragraph, I’ll gladly use the all-inclusive “always” here!) It’s counter-intuitive. Put forth more effort to get more energized and motivate? Humble myself to grow? Accept someone else’s authority in my life in order to live the life that is best for me? If you read much of God’s Word, you’ll know Jesus lived a counter-intuitive life and taught others to do the same. What makes sense by the world’s standards might be upside down according to His. We have to have the right perspective in order to survive and thrive the life that God intends. I recently read a statistic that suggested most people who survive an avalanche die because of their misguided energy. They try to save themselves by digging out of the snow. The problem is, they don’t know which way to dig, so they might actually dig themselves deeper. There’s a simple survival tip to avoid the dangers of digging in the wrong direction: Spit. Yes, a simple spit test to see which way the spit falls. That gives a clue as to which way to dig. Expend the right kind and direction of energy and effort today. What’s essential to living a good Christian life?  I must be strong.  I must be consistent.  I must be organized.  I must be a good hostess.  I must study my Bible diligently.  I must be a good cook.  I must be a (good) wife.  I must place others first.  I must be attractive.  I must be sacrificial to others.  I must be forgiving.  I must stay calm.  I must have the answers.  I must share my faith with people. You might not agree with everything on this list, and you likely have more to add. Perhaps you haven’t actually thought about what you’d put on a checklist, but what does your day to day behavior and decisions reflect? Why do you do what you do? What’s essential? What are your obligations and responsibilities? What standard are you trying to live up to? The problem is that when we try to transfer our faith to a checklist of behaviors, we make living faith out loud easy…or impossible, depending on how we create our lists. Consider how you define sin. If you define it by just the “biggies,” you might find it pretty easy not to sin, so you could claim a sort of distorted perfection. However, the definition of biblical sin doesn’t match up to how you personally prefer to define sin. Or you can create a list that stretches you but reflects more of your ideal set of behavior, and you’ll always find an unchecked box on your checklist. 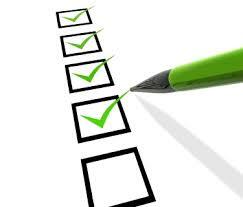 If you insist on creating a checklist to achieve a life of faith, get used to there being an unchecked box…or several. If you’re seeking God’s will and growing in your faith, he will always be challenging you, revealing areas in which you can grow. If you’re hard on yourself, always having unchecked boxes might be maddening to you. But every unchecked box is an invitation to grow. God doesn’t really operate by checklists. He knows how legalistic we can become; after all, Jesus himself had to regularly deal with the Pharisees. And relationships are tricky, including your relationship with God. Relationships take investment and intention. It’s not just about doing something and checking a box. It’s about questions, instruction, correction, guidance, interactions. Relationships require intentional investment. So confess your inner checklist Christian, and embrace the reality of being a Christ-follower. It’s a lot more productive! Okay, I don’t believe in telepathy. But I do believe that external things can impact my energy. By that, I mean I don’t necessarily have to consume something, especially a high-sugar drink, in order to get a boost of energy. The warm sunshine inviting me through the window can give me just the boost I need to get outside for a long walk. Reading about a Facebook friend’s boost of fitness success can motivate me to stick with my goals. And what can get me off the couch faster than just about anything is finding a good competitive fitness show on tv. After a night of little sleep, I was lazily watching television with my family. During a break in the football game, we were looking through the guide, and I saw CrossFit Challenge. I’m nowhere close to being a CrossFit athlete, but I have a friend who is training, and it intrigues me. I’m impressed by any extreme, well-rounded athletes. I like to not only watch them compete but also listen to their stories about how they got started and train and what motivates them. We decided to watch for a few minutes and were quickly impressed with the fitness level. The fact that the competitors don’t know the specifics of the events in which they’ll compete impresses me. If you want to test what you can handle, train for the unknown! After watching for about thirty minutes, I couldn’t sit still any longer. As lazy as I had felt a short time earlier, I was now motivated to get up and move. Since the Challenge was scheduled for another couple hours, I took full advantage of the energy involved in the competition. I jumped on the elliptical and worked out without a break for over an hour and a half. I was doing nothing at all close to what the CrossFit athletes were doing, but I was moving along with them. Seeing the extreme effort of others was just the motivation I needed to get a boost of energy. It’s not the first time. I’ve done the same after watching a wide variety of sports and competitive shows. I could stay on the couch and not fully benefit from the motivation, but I (usually) want to use the fuel. How you respond to opportunities to spiritually grow is important. You’re not always going to feel like serving, sacrificing, and studying. It’s sometimes easier to lie on the spiritual couch and watch others do what you feel you can’t or don’t want to do. It’s easier to become a spectator instead of expending the energy. Too many people sit on the couch when they’re being invited to participate. Too many people coach from the couch instead of getting active themselves. In what areas of your life do you sit back as a spectator more than jump in as a participant? Consider why you sit back. Is it fear? Do you feel insufficient? Are you being lazy? Do you think getting active would be a waste of time? Do you have extensive experience in an area and feel you don’t need to be involved anymore? 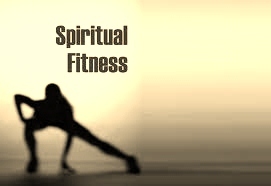 Search for sources of energy that get you off the spiritual couch. Do something, anything. When something motivates you, take full advantage of it. When you read something in a book that intrigues you, search out the biblical basis of it. When a speaker says something that challenges you, write a note to yourself to intentionally live it out soon. If someone in need comes to mind, do something to help. God provides motivation and energy. Use it well. Live intentionally. 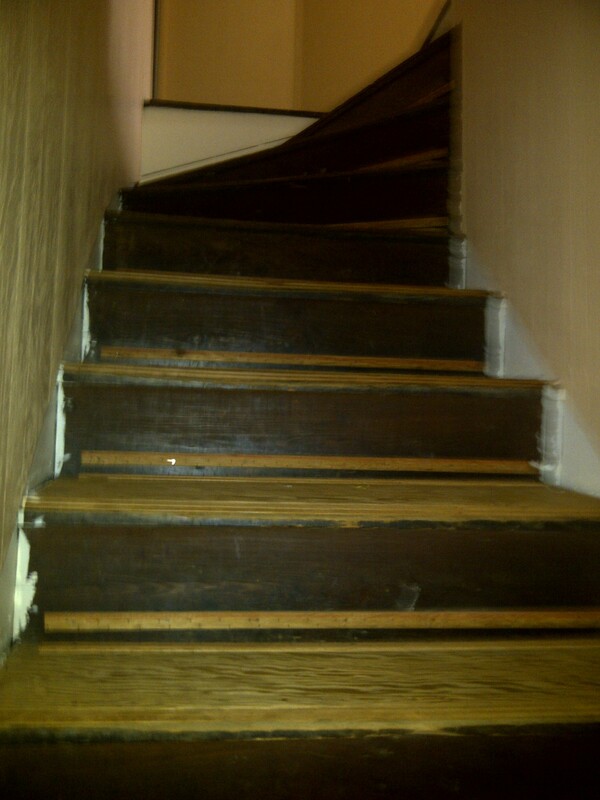 These are the stairs of my childhood home. They didn’t look like this when I was growing up – at least not most of the time. When my sisters and I first moved to the upstairs bedrooms, the stairs were uncovered, but it wasn’t long before the green carpet (you know, that popular color from the 70s!) was added. The treacherous stairs needed some padding! 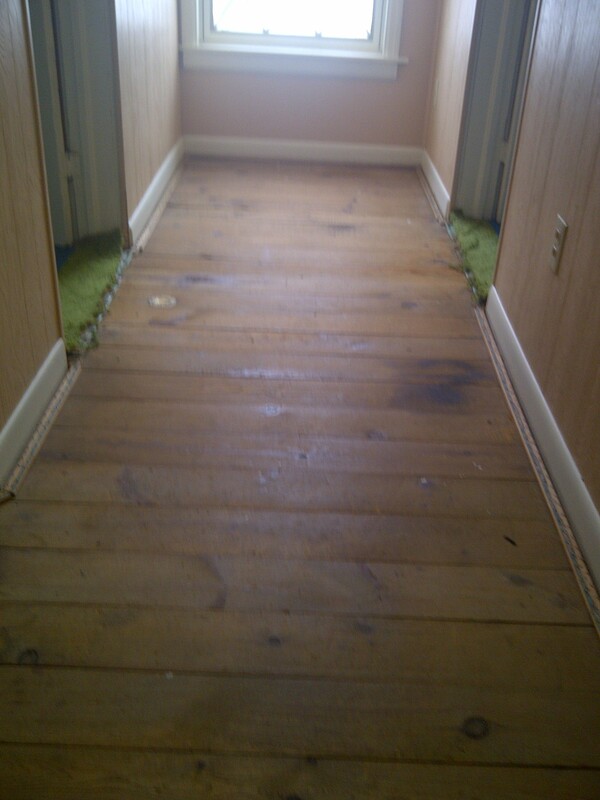 My parents recently recovered the stairs with a neutral carpet, but I enjoyed seeing them briefly uncovered. As I walked up and down them, I reflected on some life lessons I learned on the stairs. Take each step of life intentionally. You might not know every detail of what’s ahead, but be aware of the direction you’re taking. Don’t get ahead of yourself. You’re more likely to fall if you’re not aware of where your feet are. Keep your path clear. The more junk you leave piled in the regular path of everyday life, the more likely you are to trip over it. Sometimes you’ll fall no matter how careful you are. Get up and continue the journey. Turn the light on. It’s easier to watch your steps carefully. Sometimes life surprises us – like when my sister found a mouse on the stairs and picked it up to scare the rest of us. Don’t take steps for granted. You might think running up and down stairs is inconvenient, but when the stairs aren’t accessible, what are your options? When injured, stairs are more difficult or impossible to climb. Appreciate your health and abilities over your limitations. It’s nice to get away sometimes. The stairs led to my room, where I could (sometimes) find a quiet place. Find time and locations to be still. It’s nice to connect with others. The stairs also led to my family with whom I have many great memories. Consider what you’ve learned along the steps of your journey. Learn through the positive and negative experiences. Continue to take steps. God wants you to persevere and grow.